This B2B platform helps businesses reduce their tail-end spends. Asokan Sattanathan, who had worked as the supply chain head for companies such as Bharti Airtel and Eicher Motors, learnt the nuances and pain points of the business in his 34-year-long career. He joined hands with Rajaraman Sundaresan and Harish Kannan to launch Aahaa Stores, an online platform to sell office supplies, in 2013. The start-up caters to businesses and helps them procure materials at affordable rates. The e-commerce boom has led to the emergence of several B2C marketplaces, which ensure quick and affordable buying. 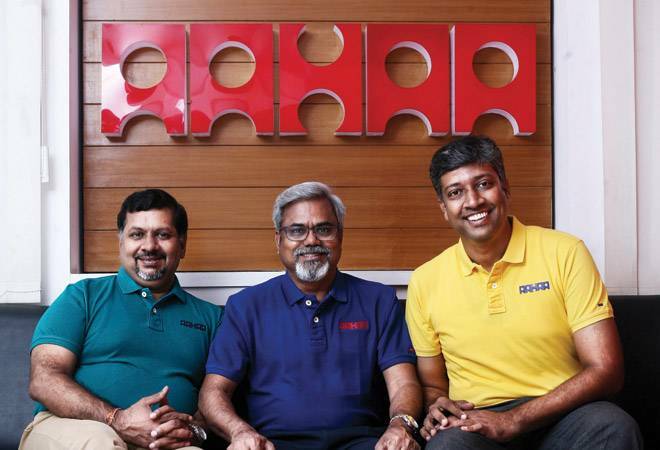 Aahaa founders wanted companies to gain from that e-business model and came up with a marketplace for office supplies. The start-up claims to have 140 customers, mainly from banking, financial services, insurance and IT industries. It also says that buying on this platform enables businesses to save up to 20 per cent of their stipulated budgets. It is because Aahaa bulk-orders the materials from suppliers and sells below market price even after taking its cut. It has raised $2 million in funding in two pre-Series A rounds, from a group of investors led by early-stage venture capital fund YourNest. The company is now looking to secure a third round. Aahaa Stores is not profitable yet. The company earned `2.8 crore in revenues in FY2015/16, according to a filing with the Ministry of Corporate Affairs, and incurred losses of `1.6 crore in that period. It is looking to hit `200 crore in revenue in the next three years. Its business has also seen a huge boost after GST implementation. As most companies do not want to face the hassle of multiple transactions, leading to a huge amount of data handling, they prefer sourcing from a single platform like Aahaa and hence, the spike in sales. Making sure that its customers experience hassle-free B2B transactions. Aahaa maintains a personalised catalogue on the platform for its corporate customers and ensures contract pricing compliance. It also reduces paperwork and manual data entry, simplifies logistics and sticks to delivery deadlines so that businesses get spend analytics and delivery performance reports in real time, which will lower their operating costs.